1. The manufacturer doesn’t make it anymore. 2. I can’t get it as quickly as I would like, or at all. 4. It costs too much. 5. I don’t like (insert manufacturer or vendor company name). All of these are valid reasons for finding a replacement. The problem is, there is not always a direct cross-reference to a new item. Some manufacturer’s make it easy by giving you a table with other vendor’s part numbers to make it easier, but often it is necessary to look at the product’s specifications to determine if a replacement is compatible. For items such as sensors it is usually pretty simple. Fortunately, there are a lot of standards that sensor manufacturers adhere to when they create a product. Connectors have become standardized (Micro and Pico quick-disconnect or QD, 3,4 or 5 pin). Output types are consistent (NPN or PNP, 4-20mA or 0-10v). Even physical characteristics often match; other than the color difference, many photoeyes are the same shape and can be mounted in the same brackets. 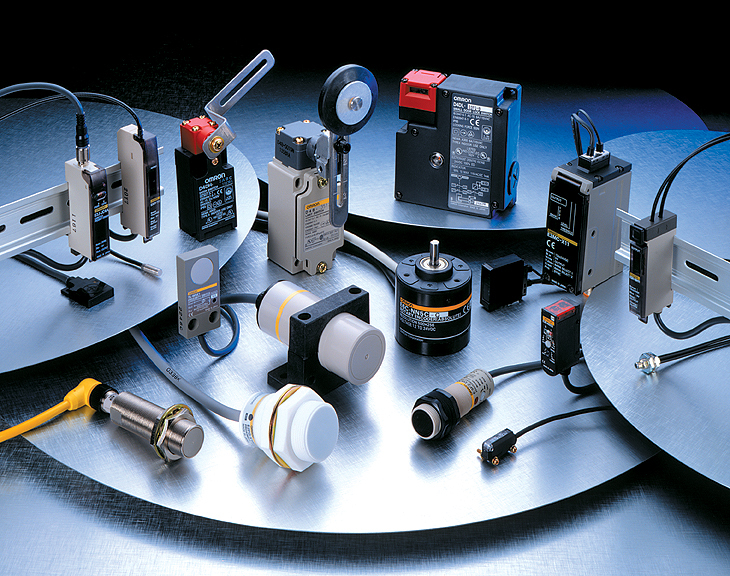 Inductive proximity sensors come in standard sizes of 8mm, 12mm, 18mm and 30mm. It is still important to read and understand the sensor spec sheet. Photoeyes have different configurations depending on the target. This will affect the mounting method and cabling. Inductive proxes may be shielded or unshielded or have special features for washdown or weld immunity. There are also many special purpose sensors to meet other requirements; convergent beam photoeyes, addressable sensors for Fieldbus networks and proxes that only pick up certain types of metal are just a few. When it comes to analog and process control sensors there are other issues that need to be addressed. There are often many programmable features that may or may not be desired. Mounting methods and cabling can also vary and may add cost to the replacement. Replacing a signal cable in a process plant can cost much more time and money than on a stand-alone machine. On a recent project I was asked to find a lower cost replacement for the pressure sensors used for tank levels. After spending a lot of time researching and comparing specifications (which also costs money) I determined that there was no direct replacement for the sensor and that the mounting or cabling would have to be replaced. Both of these options would involve process downtime. In the long run it would save money, but there was an immediate cost involved with the substitution in both time and money. This possibly explained why the pressure sensors they were using cost so much; there was effectively a monopoly on that configuration. All of the replacement candidates also had much more configurability than the original. Whereas the range could be set with dip switches and there were only two wires (and a shield) to connect on the more simple original, all of the newer, lower cost replacements were programmable. You would think this would be a good thing, but it made replacement a much more complex process. The customer simply didn’t need all of these features. Physical aspects of a substitution are important. Again, components like motors have standardized mounting and shaft sizes and power ratings. Pneumatic cylinders are also usually easily substituted. If shaft sizes don’t easily line up there are usually commercially available couplings that will do the trick. As a last resort you can have one made, but keep in mind the documentation and spare parts aspect of doing so. When it comes to replacing major items in an automation system there are often hidden difficulties and costs. You might think you want to migrate from your current controls platform to a lower cost one, but training, software licenses and spare parts play a major part in the decision. Conversion of a PLC, HMI or SCADA program is very costly and time consuming if it can be done at all. This is why the major players in the controls market tend to keep their market shares. At the same time, sometimes it can be more economical to switch platforms when a system becomes obsolete. I was contacted last week by a company that had a WonderWare system running on an old Windows 98 computer. They had lost their documentation and the company that had installed the system was no longer in business. The first thing I investigated was whether a simpler solution could be implemented. New developments in HMIs and software have made it easy to lower the cost of reproducing an older system. PLCs have much more memory and can now be used to archive production data for a longer period before transferring it to a program such as Excel or Microsoft Access. I have seen several systems that had something like WonderWare or RSView32 running on a computer where no data was being collected at all. If the only thing you are doing with your computer is interfacing with the machine, this is overkill. It is also more expensive and difficult to maintain. 1. Electrical Interface/Signal Compatibility: AC/DC, voltage/frequency, PNP/NPN, 0-10v/4-20mA and physical cable connections. Communications drivers and cabling between devices. 2. Physical Compatibility: Mounting method and space constraints, environmental issues such as washdown and temperature, special purpose factors such as explosion proof or intrinsic safety, physical interfacing with other components such as couplings. 3. Support Compatibility: Is the item easily obtained if it fails, are there local people who can help me if the software needs to be modified? Are my own people experienced with the item or platform or can they get training? Cross referencing really can be an art. If successful it can save a company time and money, whereas if it is not done properly it can create major headaches. It is also a learned skill that can be important in a career. As with other engineering skills, it is important to pay attention to detail and consider the hidden costs!